“I am a United States citizen; I was born here and have lived here all of my 81 years. If I were a threat to this country’s safety, I would expect to be caught and brought to justice. The idea that any president can kill an American citizen without a trial is abhorrent and frankly scares me more than any act of any ‘terrorist’. Senator Rand Paul’s politics are not mine by any stretch of the imagination, but I applaud him for trying to make the American public aware of what those we elected are doing. On Thursday, March 7th Colleen Kelly, Rita Lasar, Valerie Lucznikowska and Phyllis Rodriguez met with members of the defense team for Walid bin Attash, one of 5 defendants, including KSM in the ongoing pretrial hearings going on at Gitmo. One of the most heartening things was to hear what a difference Blake and Phyllis have made by their presence in Guantanamo. Family members on all future delegations are being asked if they want to meet with the defense teams. (Prior they were only asked if they wanted to meet with the prosecution). All Peaceful Tomorrows members should feel encouraged to add their names to the lottery to visit Guantanamo. Please note that those chosen to go can bring a ‘family member support person.’ Our presence HAS made a difference! And Defense Initiated Victim Outreach (DIVO) was approved by Judge Pohl and will be starting soon (this is different from the defense teams reaching out themselves). DIVO is a third party of experienced specialists who have worked on capital cases in the US with victims families. PT members Phyllis and Orlando Rodriguez and Rita Lasar met with DIVO member Tammy Krause and her associate Cathy Harrington on March 25th . Phyllis and Orlando met Tammy when PT members testified in the sentencing phase of the Moussaoui trial. Tammy wanted to reconnect with the Rodriguez family again and hear about Phyllis’ recent week at Guantanamo. It was a wonderful evening. The DIVO team will be meeting with PT members as the current events at Gitmo continue. Please contact Colleen Kelly with any further questions. Please feel free to contact either Gloria Williams or Robyn Bernstein with any questions or concerns. The DVD “Beyond Right and Wrong, Stories of Justice and Forgiveness” is now on sale in the U.S. INP members Jo Berry, Rami Elhanan and Jean-Baptiste Ntakirutimana are among those featured. Our social justice activist friend, Father Michael Lapsley, was honored at the 19th Shared Interest Anniversary Awards Gala on March 18 for his work on nonviolence and reconciliation. Congratulations! PT Members are invited to support our partners, The Afghan Peace Volunteers, with their new campaign to reach out and make friends in all nations of the world. Become a friend by clicking HERE and please get in touch with the Afghanistan Committee by contacting Ellen Judd. 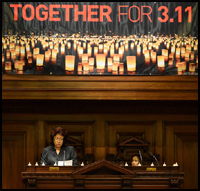 PT member, Gloria Williams, lends support to those commemorating the second anniversary of the Great East Japan Earthquake at the “Together For 3.11” event in NYC. Ellen Judd has resigned from the SC. We thank her for her invaluable advice and insight. Help be a part in PT’s future! 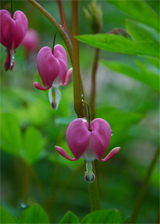 Visit our website to view the archive of Monthly Updates. Make sure you SHARE our Monthly Updates with your friends!